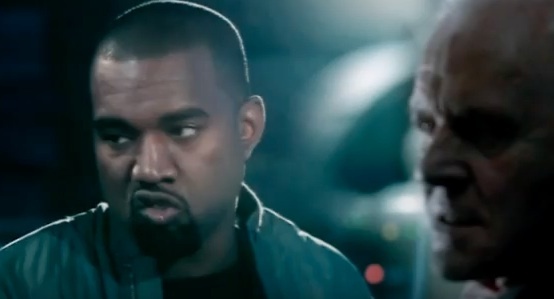 Mashups of anything popular are usually pretty memorable, but Entertainment Weekly just informed us that Jimmy Kimmel went ALL out in his latest one: He mashed-up the trailer for HBO’s sci-fi show Westworld with old clips of Kanye West. You know, because Westworld made him think of Kanye. Naturally, he called it Kanye Westworld. Firstly, if you don’t know anything about Westworld, here’s the skinny: it’s a ridiculously huge budget show about a futuristic theme park, starring a slew of familiar faces like Anthony Hopkins, Evan Rachel Wood, Ed Harris, James Marsden, and Thandie Newton. … and terrifying beyond our wildest dreams. Sort of like Kanye West! OKAY, ready for the mashup?! "It’s not a theme park, but an entire world," says Hopkins character. After a loaded pause, West observes, "Wait a second, there’s no one around here in this space that looks like me." [...] "I'm a machine, a robot — you cannot offend a robot." Aaaaaand that’s why they call it Westworld. Seriously, bravo, Jimmy. Bravo. Westworld (the real Westworld) is premiering on Sunday, October 2nd, and don’t worry, Kanye won’t be reappearing! Unless Jimmy Kimmel makes more mashups, which he is absolutely welcome to do.